Who doesn’t love pizza? It was the one thing Madi thought she would miss when she went vegan. I was determined to come up with the best pizza recipe to make it easier for her, until we found Sandbar Vegan Pizza. 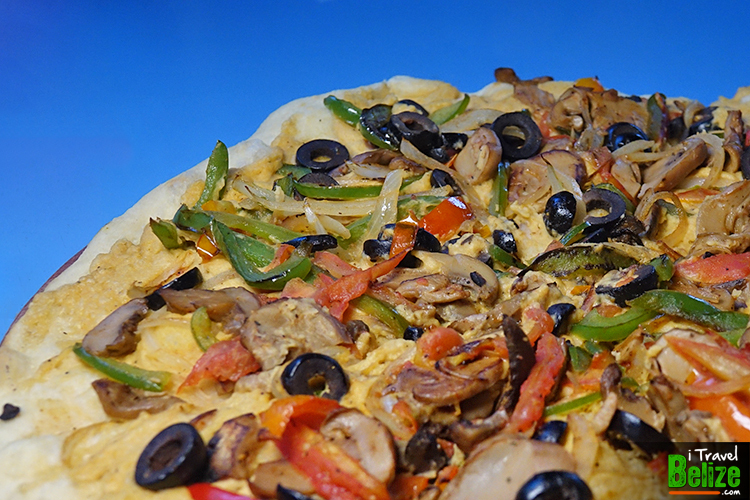 The creamy hummus gives it that cheesy feel and of course it’s topped with veggies. Talking about favorites, I have not met a single person that doesn’t like Elvi’s Kitchen Curry, but I had no clue they had a vegetarian option until recently! Caution: This stuff is addicting! 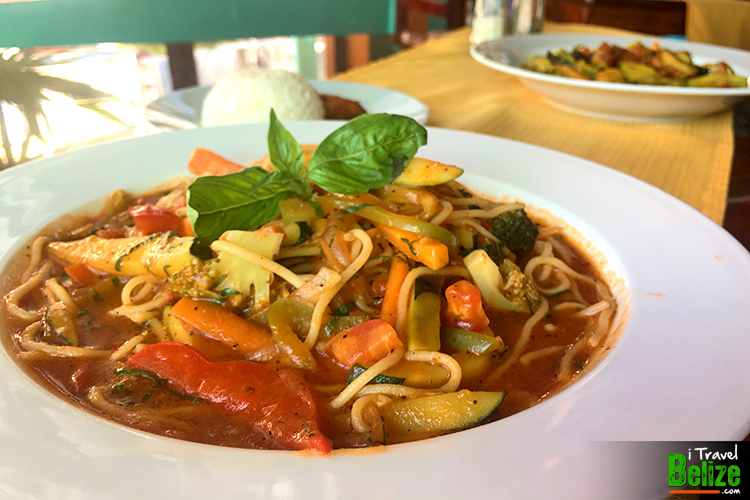 Elvi’s Kitchen now offers a Vegetarian Menu where you will find the GuacaBean Wrap, Vegetable Pasta and Black Bean Soup, just to name a few. Most items on their Vegetarian Menu can be Veganized by removing cheese or cream. 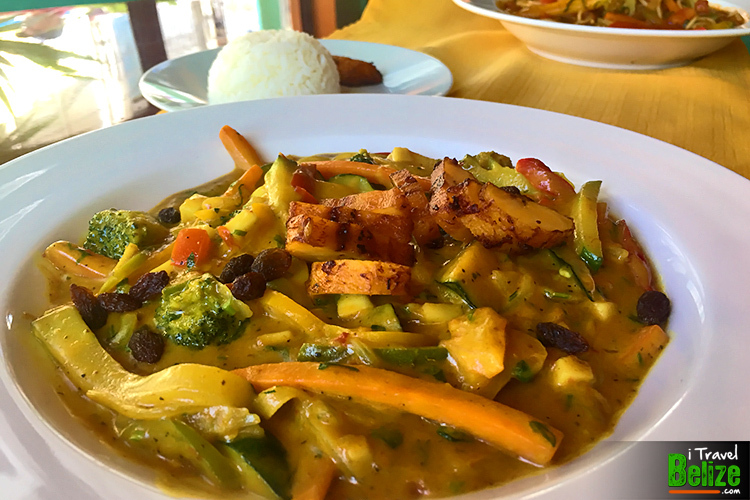 Their rice and beans are not on the vegetarian menu, but if you want to try that local favorite side dish without hidden pork fat, Elvi’s Kitchen is the place. My crew loves beans! This is only an appetizer, but if you’re a light eater it can be a meal. Not a light eater? No problem! 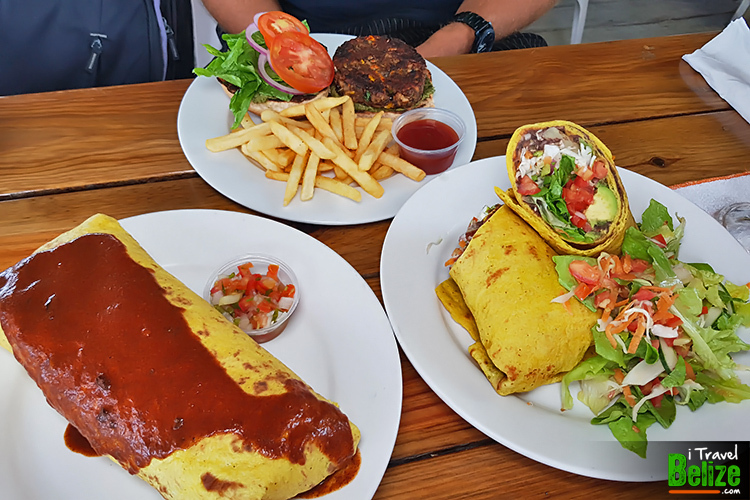 Wild Mango’s has HUGE burritos, wraps and yummy bean burgers for you’re big appetite. 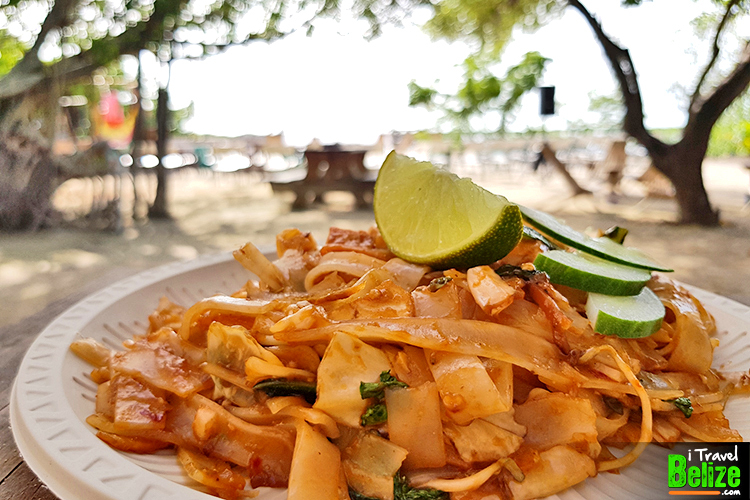 Plus, your food comes with a view of the Caribbean Sea and that salty sea air! 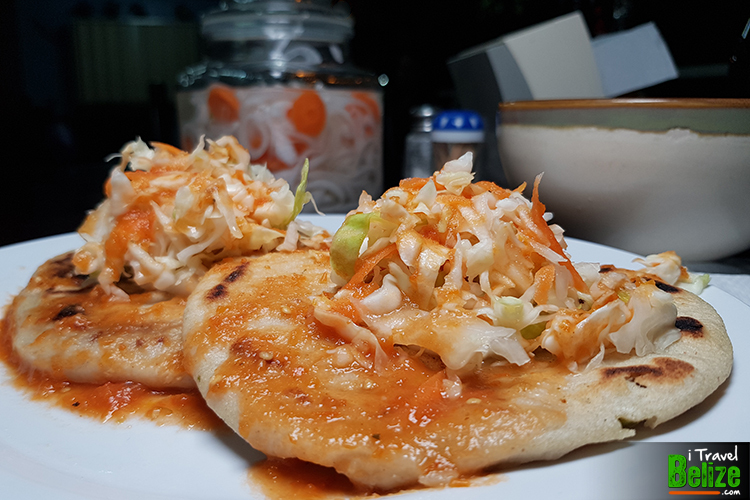 I’m extremely excited about the vegan pupusas at La Divina Providencia! My favorite are the bean and cauliflower pupusas. I swear you almost can’t tell they are vegan. This place is serious about it too, they even have a second grill where they cook the vegan options separately. It’s so great to see vegan options of our favorite things popping up around town. So many options of the Truck Stop’s food items can be veganized! These rice noodles with tofu are so yummy. Just be sure to say “no eggs”. We’ve also enjoyed the hot and spicy with tofu and tostones with pico de gallo instead of the mayo based sauce that comes with them. You can’t beat vegan food, fun games and a family friendly environment on a Sunday Funday! Mango, coconut, black raspberry, strawberry … so many flavors to choose from! 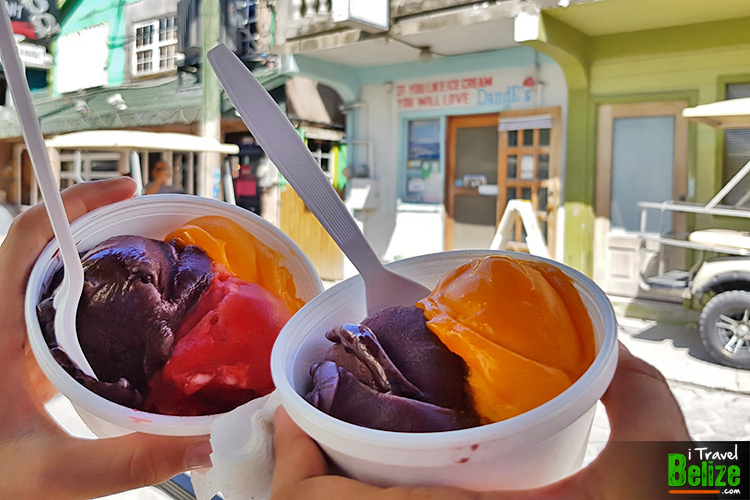 Take a little stroll through downtown San Pedro after any of the vegan meals mentioned above and enjoy this cool dessert on a hot day! Who can live without chocolate? I can’t! 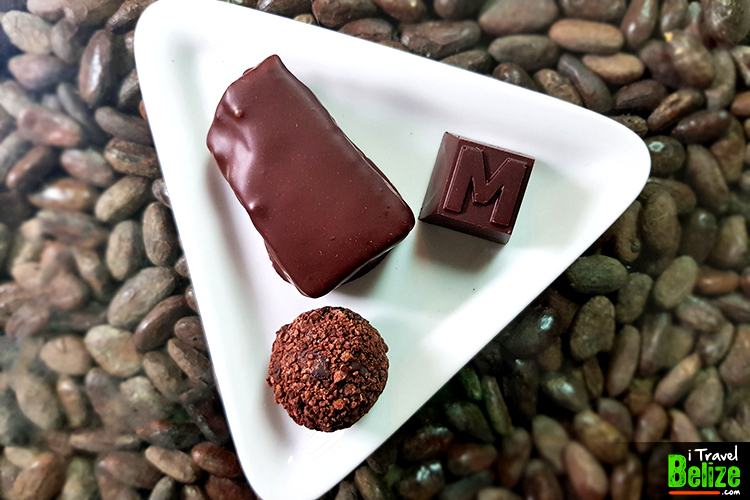 So, I found these great little treats at Belize Chocolate Company and they are all vegan (make sure you ask for them in dark chocolate)! My favorite is the Island Crunch. You can also take home chocolate nibs, chocolate covered almonds, chocolate covered mango, cacao powder or some Vegan Chocolate Syrup. Want to learn about the Maya and how they make the chocolate? No worries, they offer a chocolate workshop with a an amazing view of the sea while you make your own chocolate. This has got to be one of my favorite vegan finds! I thought if I wanted vegan ice cream I’d have to make it myself, but it turns out I was wrong. 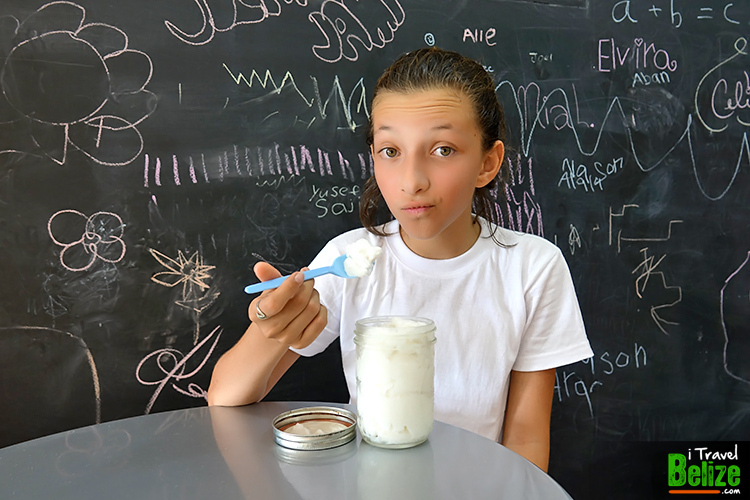 Paradice Cream makes my favorite Oreo Cookie ice cream with coconut milk. #veganwin. They also offer sorbet if you prefer. Honestly the vegan thing is fairly new here in Belize. A lot of waiters still don’t know what the word vegan means. So, be sure to let them know you don’t eat dairy or eggs when you are ordering. I go as far as listing butter, cream, milk or eggs, because I’ve been served sour cream when I just mentioned I don’t eat dairy. Even some of the foods I’ve mentioned here had to be modified from a vegetarian option to vegan. Be sure to read menus to catch any ingredients your server may miss. I plan to add to this list in the future as I try new things here on the island, so look out for a part two of this post soon! 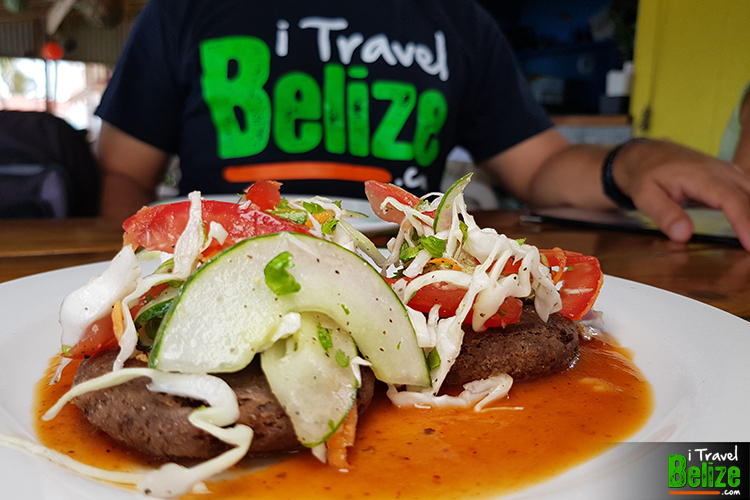 I’ll be posting “Vegan Options Around Belize” soon as well. Thanks for reading! Don’t forget to like us on Facebook and share this post with your friends if you found it useful. 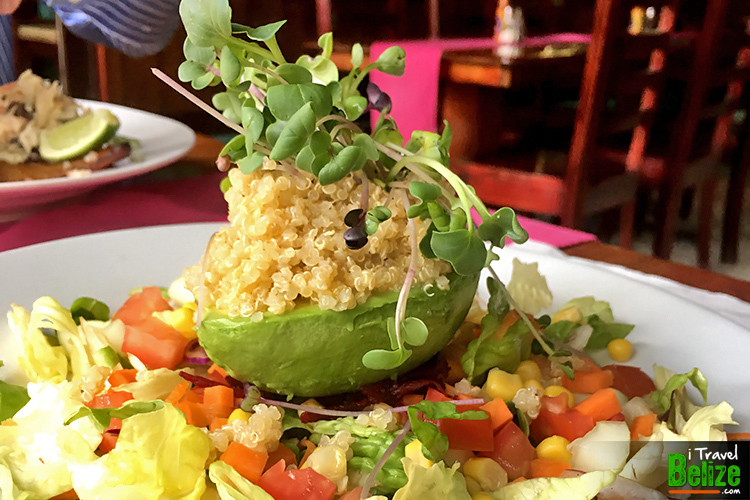 Do you have any vegan friendly food options here in San Pedro that you’d like me to try for my next post? Share them with me in the comment section below. I love this! San Pedro restaurants like El Fogon, truck stop , and others will adjust their menu options just for you if you ask them. Belize has so much variety it’s awesome!!! Thanks so much for the great info! You have opened up a lot of choices; I really appreciate the time you took to write this up and share it!